Former president and newly elected Machchangolhi central MP Mohamed Nasheed has stated that foreign judges are not necessary to reform the Maldivian judiciary in order to establish justice. When main-ruling Maldivian Democratic Party (MDP) fielded President Ibrahim Mohamed Solih for the presidential election in 2018, the party compiled a manifesto that listed the pledge to bring in foreign judges to Maldivian courts. However, the suggestion was met with criticism, both from the public and the coalition parties alike. The section was later removed from the manifesto after coming to an agreement with coalition parties. MDP came up with a brand new manifesto for this month's parliamentary election. Named agenda 19, their visionary legal framework for the 19th Parliament made no mention of involving judges from overseas into our judiciary, although reforming the judiciary was on top of the list, However, with MDP's landslide victory in Saturday's polls gaining super majority for the party, many are left wondering if bringing in foreign judges is back on the table. In a special interview given to PSM News on Monday night, Nasheed said he finds it hard to believe that issues within the judiciary arise due to a specific person alone. Although current judges are being dismissed with new judges being appointed in their place, the situation remains the same, said Nasheed. "I do not believe the problem is with lack of judges, the lack of capable people. We have many qualified judges here in the Maldives who are well versed with the laws. We do have several judges who would remain impartial in their judgement. Instead, it is the judicial system that we have to reform", he said. Noting that foreign judges previously worked in the Maldives, Nasheed said he does not see any issues in foreign judges working within the Maldivian judiciary. He emphasized hat Islam is not a religion to discriminate against other nations. "I cannot fathom any reason why a foreign judge cannot be allowed to come to an Islamic nation and attempt to establish justice. I do not see any issues with it, nor do I believe Islam would allow such speech [of discrimination]. The Islamic community is not built on segregating other nations", sad Nasheed. 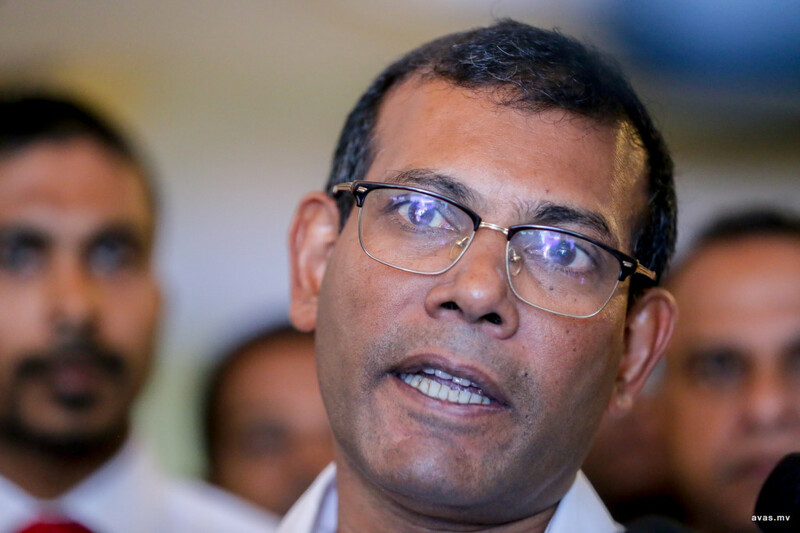 However, Nasheed stressed that although this is the case, he does not believe there is any need to bring in foreign judges while the country already has well-qualified judges of its own. The former president further said the judicial system should be reformed such that even if the worst person is in a position of power, he cannot be allowed to commit any wrongs. He emphasized the importance of reforming the current judicial system to achieve this. "Therefore, there is no need to be displeased over this; we are not going to dismiss a certain person and replace him with another", assured Nasheed.